Mungai, I. W. (2010). Integrating Strategy Formulation and Implementation: A Critical Review. A paper presented at the at the Kenya Institute of Management (KIM) second annual 1st International Conference on Management and Leadership. Maina, P. N., and Mungai, I. W. (2011). A Survey of the Implementation of Total Quality Management Practices in ISO 9001 Certified Service Organizations in Kenya. A paper presented at the International Conference on Business Innovation and Growth; University of Botswana Faculty of Business. Wairambia, B. M., Muchemi A. W., and Mungai, I. W. (2012) Effects of Work-Family Conflict Factors on Employee Productivity: A Survey of Secondary School Teachers in Kigumo District. A paper presented at the 4th Annual International Conference on Industry and Higher Education. Mathenge, R. W., Mungai I. W., & Muchemi A. W. (2012). The Relationship between Employee Satisfaction and Customer Satisfaction in Kenyatta University. A paper presented at the 4th Annual International Conference on Industry and Higher Education. Mungai I. W., and Bett S. K. (2012). Dynamics of Management. EMBA Manual. Kenyatta University - PHEA-ETI Project III. Bett S. K., and Mungai I. W. (2012). Strategic Management and Organizational Change. EMBA Manual. Kenyatta University - PHEA-ETI Project III. 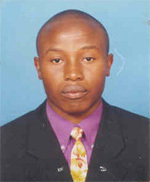 Mungai, I. W. (2012). Transition at Elim Stars. A case study and teaching notes written and reviewed in the Global Business Schools Network (GBSN) case writers and trainers workshop (a sub-component of the MSME Competitiveness Project).